At the beginning of the week, I promised there would be a cocktail-themed dessert, and this is it: a cake inspired by a gin & tonic. Both the cake and its glaze include gin: I used Bombay Sapphire. This recipe appeared on the Nosh section of the Berkeleyside news site by Moriah VanVleet. 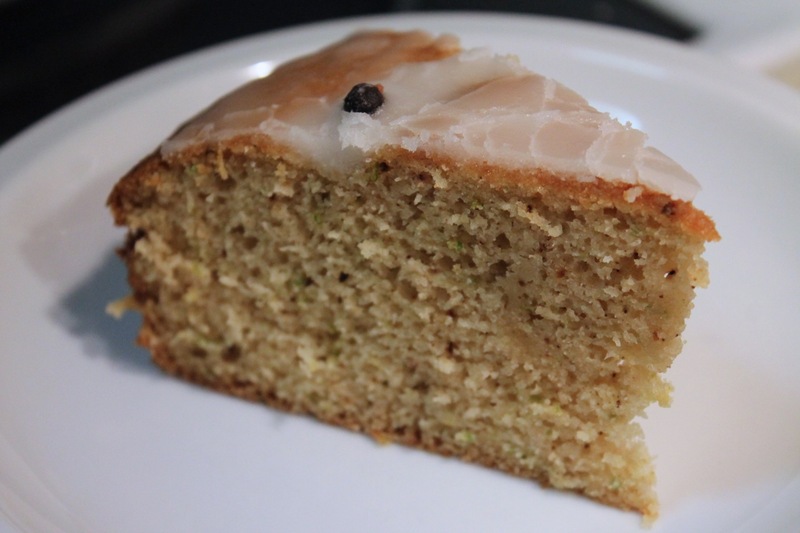 It's rather inventive: in addition to containing gin and tonic water, the cake amps up select flavors of the drink by adding lime zest and ground juniper berries. There's a definite bitterness to this dessert, just like the cocktail, but it's still an enjoyable sweet treat. 1. Preheat oven to 350 F. Grease an 8-inch cake with butter, line the bottom with a round of parchment paper and lightly grease the paper. 2. 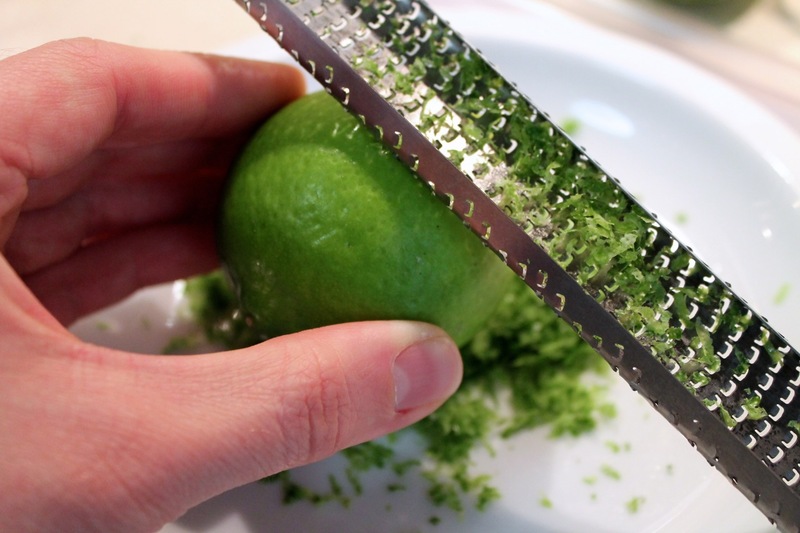 Finely zest limes (I used a mircoplane). Juice limes and measure out 1/4 cup of juice and, separately, 1 tablespoon of juice.. Using a mortar and pestle or spice grinder, mash 30 of the juniper berries until small flakes are formed. In the bowl of a stand mixer, beat together eggs, oil, sugar and vanilla until smooth. 3. In a large bowl, whisk together flour, baking powder, baking soda and salt, and add to egg mixture, mixing together on low speed. Gradually add the 1/4 cup of lime juice and 1/3 cup of gin. Beat until smooth. 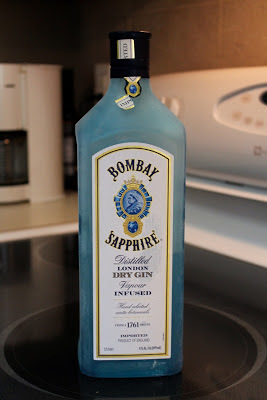 Add the lime zest and crushed juniper berries, mixing until evenly disbursed. With a spatula, gently fold in the tonic water and quickly pour the combined mixture into the prepared cake pan. Bake for about 40-45 minutes, checking center with a wooden skewer or toothpick at the 35 or 40 minute mark; cake is done when golden, domed and no wet batter appears. 4. Remove cake from oven and let cool in pan at least 20-30 minutes. Loosen sides of cake with a butter knife, and carefully transfer cake to a wire rack placed over a baking sheet. 5. While the cake cools, place the powdered sugar, remaining tablespoon of lime juice and remaining 1/3 cup gin in a saucepan. Whisk over medium-low heat until just bubbling. 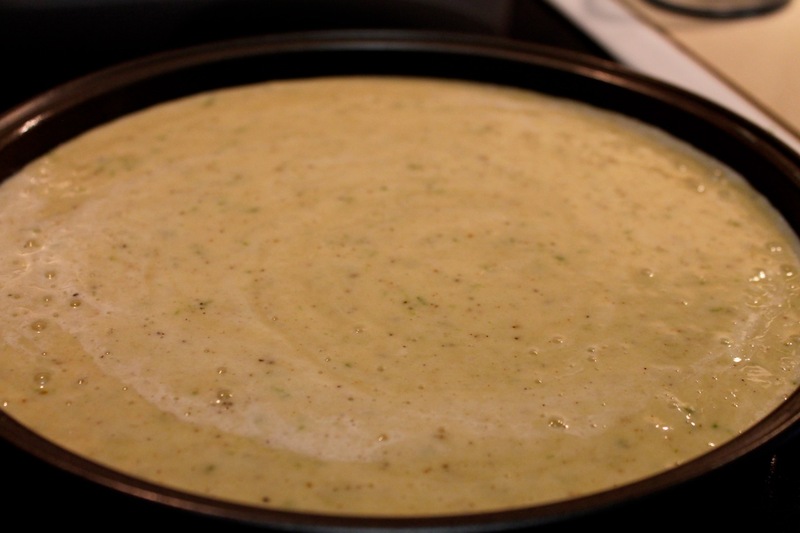 Let bubble for about 20-30 seconds, then remove from heat and keep stirring. Working quickly, pour half of the glaze over the cake; it will harden quickly. Immediately repeat with the second half of the glaze, letting it drip down the sides of the cake. Reserve a bit of glaze in pan, tossing the remaining 15 juniper berries in it. If glaze in pan is already too hard, place pan over low heat momentarily. 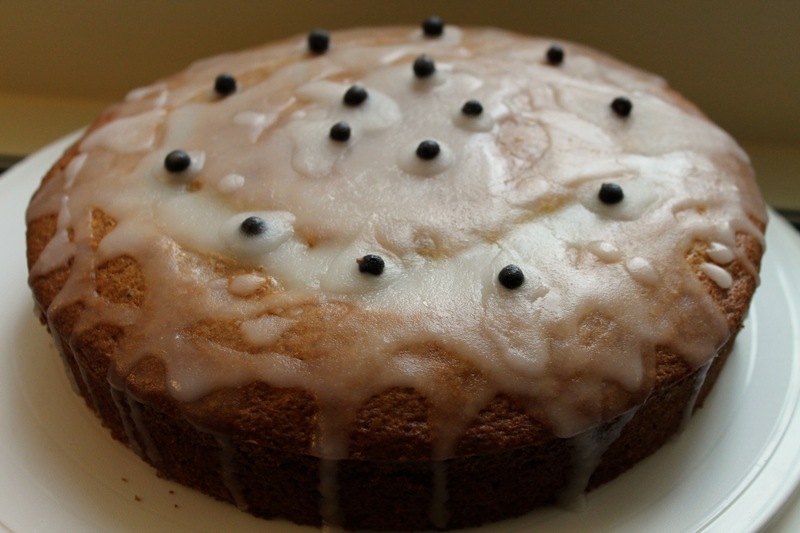 Quickly place glazed juniper berries evenly around the top of the cake. Ask and I shall receive: I expressed a strong interest in a gin & tonic cake after you mentioned it in last week's edition of "The Feed." By the end of the week, you had made it for me. That's speedy service! It was delicious and I thank you.